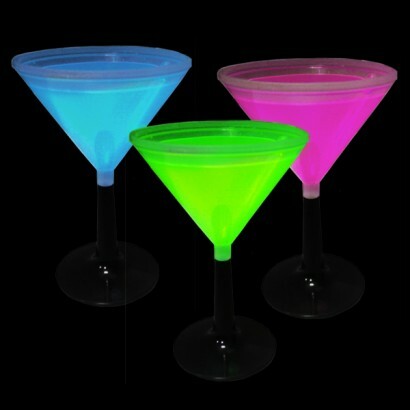 Fantastic glowing Martini cups available in wholesale quantities. Supplied in bulk packaging in a mix of green, yellow & blue. We guarentee you will not be dissapointed! 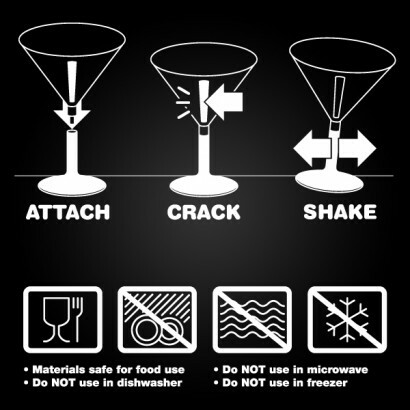 These were great and admired by everyone at our recent party however afterwards I was left with a lot of plastic cups that I didn't know what to do with. It would be great if you could buy a glow stick to re-insert into the cup for re-use in the future. 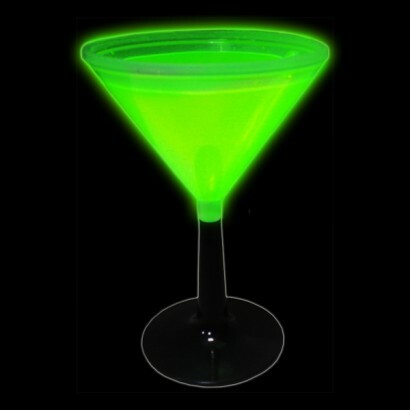 The Glow Company Says: Hi Mike, we're glad that you enjoyed the cups, they certainly add their own special glow to a party! Sadly, they are a one use only product as the glowstick in the bottom is sealed in so that the resulting glowing liquid doesn't leak and damage clothing or surfaces. They do look great on use and will glow for up to eight hours, so they should at least see you through your night.